the adventures of tartanscot™: "Q is for . . . "
There's been a great deal of press coverage over the last few weeks about gay and lesbian kids who've been committing suicide because of relentless bullying at school. Whenever there is a 'press frenzy' on any particular topic - I always wonder if it IS actually getting worse - or just getting more coverage . . . and I don't really have a specific answer to that question. Now, every so often (as in 'an almost neurotically everyday' kinda often -lol) I check with google to see how many people read my blog each day. It's an obsession that I'm not particularly proud of - but frankly, it's something I do. And I always wonder who is out there - reading about my love of bed canopies and beach workouts. Or about my trips to New York. Or frustrations about delayed shipments from vendors. I heard someone joke that no one reads design blogs - except other design bloggers - but, those number just don't add up . . . lol. So I know you're out there. Reading. But, if you're reading this. And you're young. And you're gay. And you're afraid. I have one thing to say. It gets better. Q is for . . . . I am rarely, if ever, political on this space. That's not why I started writing this blog 2 years ago. It's not what I want this blog to be about. And telling you that a 46 year old interior designer living in San Francisco is gay can't even come as any kind of shock - lol . . . but, I love the life I've carved out for myself. I have an amazing collection of people surrounding me that I could NEVER have imagined when I was in middle school. Ugh, middle school. Being taunted. Getting beaten up. Being spit on. I've often wanted to go back in time - and tell my younger self - "don't worry. It gets better." A wonderful project is growing over on Youtube started by Dan Savage. Gay men and women. Telling their stories to a younger generation. You can do a search under "it gets better" and find over 100. And it seems more get added everyday. If you need to talk to someone - The Trevor Project is an excellent resource. Anyone that judges people for their beliefs or is rude or cruel to someone for their beliefs is a mean person. It is difficult getting a message over to any middle school age child. Children themselves are cruel, some more so than adults. My heart goes out to anyone that has to be tortured mentally, no matter what their beliefs. It is cruel and uncalled for. I AM SORRY if you or anyone has had to go through being abused by someone else. They are the bad guys. Young men and women will never stop being impressionable at this age, and all of them face abuse each day. I know. I have two children and they are faced with cruel people everyday, and they are not gay. People are JUST cruel. I am sorry that this happens. Thank you for this post, I have forwarded it to a young man who is going through a troubling and confusing time. I hope this helps. That's what I aim for - with varying degrees of success - each day. But, what I love about this project - is that it is giving encouragement and some perspective to people that might not have either of those things in their lives. I truly hope that it helps. Great timing on your alphabet theme! been a "Fag Hag" and damn proud of it! It does get better. My life is infinitely better for having you in it. Thanks for this beautiful post. oh, my sweet Drew. And it keeps getting better and better everyday. boy, does it EVER get better. What a great post! Like you, the kid I was in middle school, high school & college (I went to a Pentecostal school - enough said) never thought life could be great as an out gay man. It can - and is. Agreed. It gets better and better. This brought me out of the woodwork. Straight, married middle aged suburban housewife(mom) in the midwest here that wants anyone reading to know you have friends that maybe you just haven't met yet. It will get better and we value you for who you are. Come sit at my table. Please. Thanks for posting. Love Dan too. love the blog, BTW : ) Lived in Pleasanton for a few years and miss the Bay Area. Cheers! You are beautiful....and have a beautiful blog. I am sure more than designers read this. Excellent post Scot:). Proud of you! So true..."It gets better" is for everyone, not just gay people! My dad used to say, "Life is never THAT bad." Really, no matter how bad it seems, it DOES get better! Tartanscot, thanks for holding yourself up as an example to young people and sharing the struggles you had in middle school. LOOK AT YOU NOW!!! As one of those kids who was teased and taunted in middle & high school, not for being gay, but just "different" from them, I thank you. If one adult had said "it does get better" to me back then, I might not have felt so terribly alone. As a result, I feel it's important as an adult to "give back" when I can. That's what you've done. We have that obligation, I believe. I know from experience it makes a difference! Scot - I know this has been a horrible week, but in a lot of ways we're all getting better. My husband's high school had an openly gay student body president a couple of years ago. When one of our gay friends, also an alum, heard about it he said, "It's got to be a joke." It wasn't. The guy was wildly popular and admired. Right here in the rednecked red states. It's slow progress, I know, but it's something. I am so glad you took the time to reinforce the message. Scot, rather shamefacedly I must say I have never commented before on your blog though I do read it regularly - I want to say thank you for writing such a heart-felt post. A simple statement that it gets better is precisely what needed to be said and I for one am grateful you did. Simple but profound. Again, thank you. Bravo to you for your beautiful and kind post. Your message of hope is exactly what so many need to hear. I'm proud to be on the "Q" team with folks like you. Oh, Scott, I am so moved by this post. Good for you...stepping forward to bring encouragement and support for the young people who come after, trying to find their way. The news this week has been heartbreaking and the callousness of people who SHOULD have been a friend to the young Rutgers student who took his own life is shameful and disgusting. While I am late getting to your post, it is never too late for all of us to join hands and hearts in favor of what is right! May God bless and keep you and bring comfort to any and all who struggle under the mantle of owning their true identities. It WILL get better! You are a MAN among men, Scott. And on one other note: I am NOT a designer, but visit your blog daily and read a jillion others, too. Those of you who write design blogs have taken MANY of us by the hand and schooled us! I check your blog daily. I am not a designer but I am QUEER. For me, I can not imagine being any other way. My school years were brutal and catholic-am so happy I escaped that world. It does get better and has in the last 40 years. Thanks for the great post. I admire you for so many reasons, this is just one more thing that makes you special: your ability to inspire others. I have enjoyed your blog from the very first time I stumbled upon it. Your interview on SRT was one of my favs. Your talent is clear. Whether you are gay or straight matters none to me, I can just tell that you are kind. Your honesty though will inspire and lift up others...young and old! I'm blessed with so many gay friends who enrich my life everyday. I know that the road for them hasn't been easy and most say they would never go back to where they grew up. So glad they made it and are changing the world so that the path is easier for the next generation. No one should ever have to "come out". "In the closet" should be a thing of the past -antiquated and puzzling. Here is to the specturm of people that color my world. 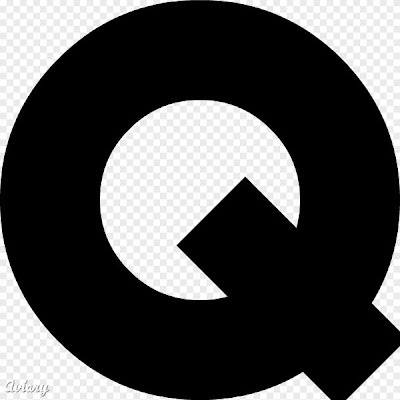 Without the "Q" it's all shades of grey. I know you must be proud of yourself and all your accomplishments...but we are all proud of you as well...for your accomplishments, your vision, your creativity, and your voice...the ability to speak out! it definetly gets better!! Even though it wasn't why you started your blog, this post is still a great source of inspiration for young "design afficionados" out there who admire your work... to all of them... it does get better!!! I am full of admiration and inspiration. Dear Scot- I think you are living proof that it does get better and kudos to you for standing up and being a role model. I think, if nothing else, this has been a wake up call that these problems still exist and that even though there are many young people who are very accepting of those who are different, clearly, there are those who aren't. And, unfortunately, as teen bullying seems to be more insidious, picking on the gay kid (or the fat kid, the ugly kid, the nerdy kid) it's worse than it ever was. And for all the picked on kids, it does get better. I know so many teens who are completely accepting of their gay friends, so in many places, it is better. But that's of little help or comfort to those who live in less enlightened communities. Kudos for Dan Savage for starting his wonderful project and for all those participating. I look forward to reading your blog each time it lands in my mailbox. This is a very moving post, and I want to commend you for taking the time to offer such encouragement to young people who may be getting harassed. I remember several kids from when I was in high school (back in the Dark Ages!) who probably were harassed, especially by the almighty Jocks. I was in all the plays and active in the Thespian chapter, and naturally I got to know them well. They were among my best friends. It is outrageous what is happening now in schools right across the board, but especially to kids who are trying to figure out who they are and where they fit in. When young children commit suicide because they are at the end of their tether, and no adults will step forward to put a stop to the bullying, we have bigger problems than the national deficit. I applaud your efforts to "Make it Right." love you scooter, and am so glad to call you my friend. I just arrived at your blog today from the article in the SFGate. This is a tremendously moving post. I am touched by your courage to reach out to other young people in need. I am so glad that you said it out lout Scot. Queer is the perfect word for the love letter Q, and in the most loving way. There are more important things than good design. It is important to remind ourselves of that at times, and the people around us, and those all over who read about all the pretty stuff we ramble on about most of the time. The most important message to me was that "it gets better". I'm a new reader, but had to say: well done!